Gabrielle’s family photo sessions are always a treat. 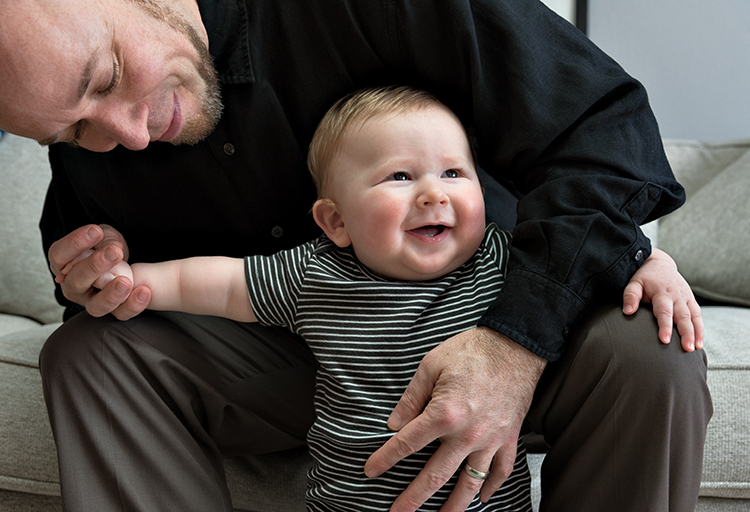 We’ve been working together for almost 2 years chronicling the growing family. For her ease, we have done all of them in her mother’s living room. They are neighbors enough that it is easier to get the whole tribe there on foot rather than packing all into carseats and such. This latest session, I asked her if she was interested in me bringing a backdrop and my studio lights. She loved the idea. It took a little longer to get everything set up but it gave us a much different look. The studio lights I’m using now are a constant light source rather than flash and it seems to be a softer approach. I feel like it doesn’t wear on my subjects as much. I had also asked her to keep the color palette of outfits mostly muted. With the dark background, I really just want to have the faces be the thing to catch you. Family photos really ought to be about the faces of your loved ones. Logo T-shirts and the glittery bits can distract from that. We did several variations of kids and grownups, some silly and some traditional. Family sessions need to run at their own pace so I usually block out two hours when there are Littles involved because they need to have breaks occasionally. The middle Little in this crowd always takes a banana break. Sometimes twice. What I know for sure is that it doesn’t pay to set a time frame and force it too much. Every now and then, a meltdown is what you are going to get and you just have to roll with it. 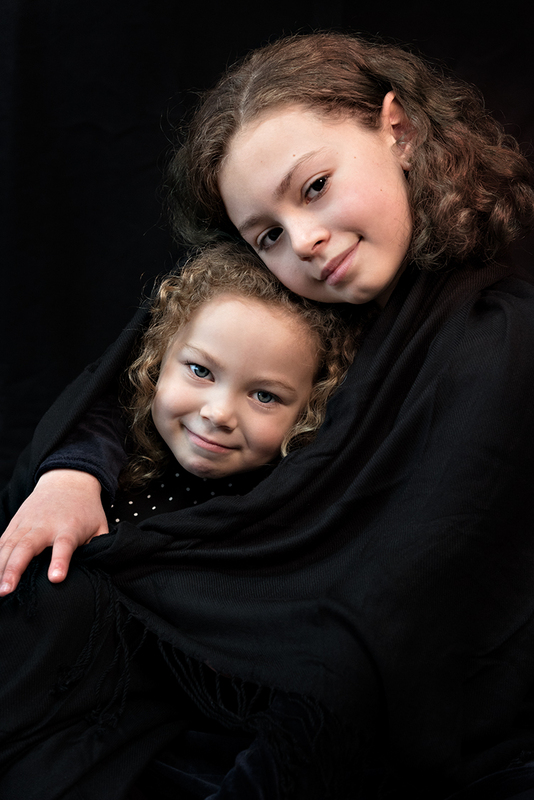 When Gammy brought out the scarf, there was lots of draping, hiding and wrapping… the sisters had a fine time with it! The scarf came into the picture neatly folded and by the time it was rescued, there were new wrinkles and bits of fuzz on it. We’re lucky the snacks were in the other room. This entry was posted in Day to Day, Kids, People and tagged Family faces, family photos, family session, fine time, Mother's Day photos, Portland Family Photography, sister on April 12, 2019 by admin.